The Federal Bureau of Investigation (FBI) says hate crimes rose across the United States in 2016 for the second year in a row. An FBI study released Monday reports there were 6,121 hate crime incidents last year, an increase of 4.6 percent from 2015. It was the first time since 2004 that U.S. hate crimes rose two years in a row. In 2015, hate crimes increased by seven percent. The largest group of victims, 58 percent, were targeted because of race or ethnicity, the report said. Rising hate crimes were reported against several groups including Arabs, Muslims, Jews, blacks and transgender people. About 50 percent of these hate crimes were done because of anti-Black bias. Nearly 21 percent involved anti-White bias, while 10 percent were anti-Hispanic or Latino crimes, the report said. About 3 percent resulted from anti-Asian bias, while nearly four percent of victims were American Indian or Alaska Native. About one percent involved anti-Arab crimes. Among hate crimes involving religion, the report said 54 percent were anti-Jewish, while 25 percent were anti-Muslim. Nearly 18 percent of reported hate crimes were based on the sexual orientation of victims. Of these 1,218 incidents, 63 percent involved anti-gay bias against men. The FBI has been gathering hate crime data since 1992. The agency's numbers are based completely on voluntary reporting from police agencies across the U.S. 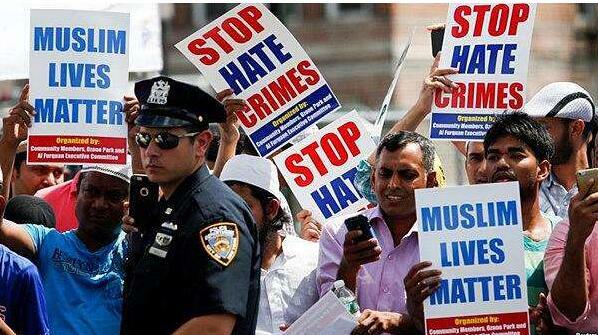 Therefore, the reports are widely believed to underreport the actual number of hate crimes. In releasing the new report, the FBI said hate crimes remain the "number one investigative priority" of its Civil Rights Division. U.S. Attorney General Jeff Sessions has also promised to make hate crimes a main focus of the Justice Department. Sessions said Monday the Justice Department is awaiting a full agency report on what steps to take to improve. The report is expected to suggest ways to better train investigators and prosecutors and improve collecting methods for hate crime data. In a statement, Sessions said his agency will seek to make sure individuals "can live without fear of being a victim of violent crime based on who they are, what they believe, or how they worship." In 1988, a close friend from that group was murdered in a hate crime. She and her husband urged their daughter not to tell too many people about her sexual orientation and to try dating some boys. The civil rights bill carried by a large majority. Agriculture and industry are the base on which to build up the nation. 5.The Federal Bureau of Investigation (FBI) says hate crimes rose across the United States in 2016 for the second year in a row. 6.It was the first time since 2004 that U.S. hate crimes rose two years in a row. It was the first time we admitted to ourselves that we were tired. It was the first time she had seen him in person.